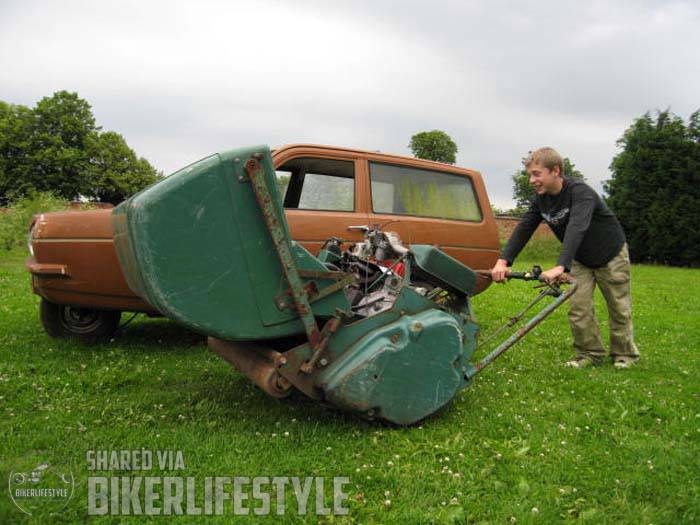 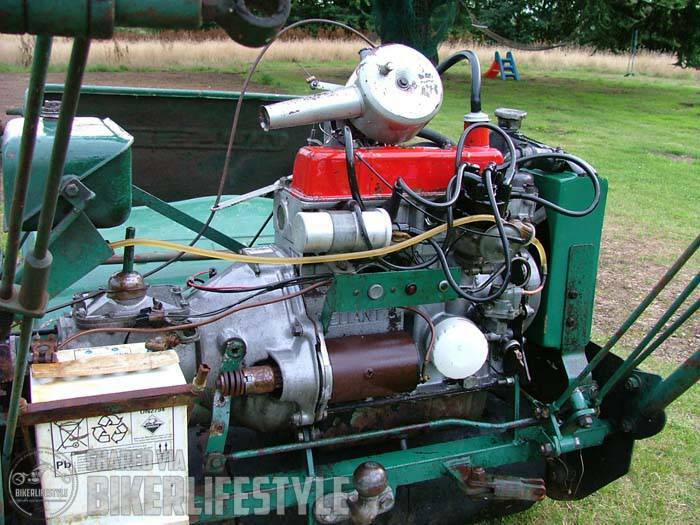 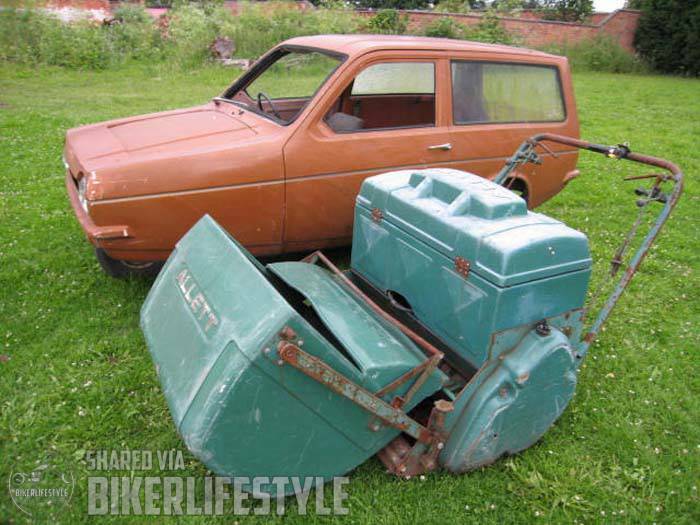 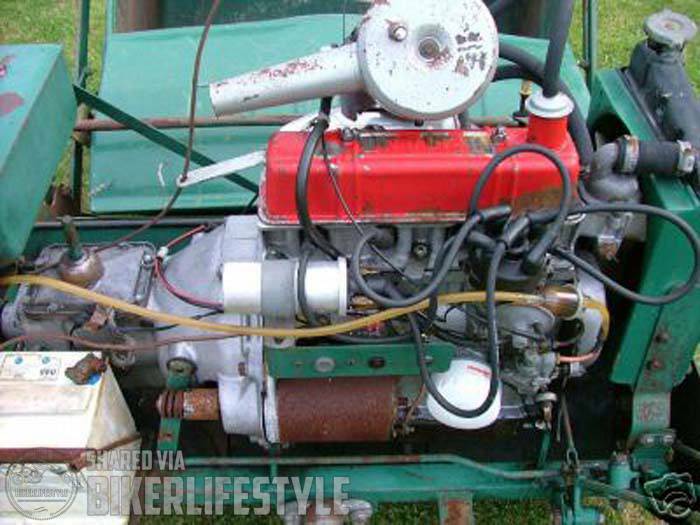 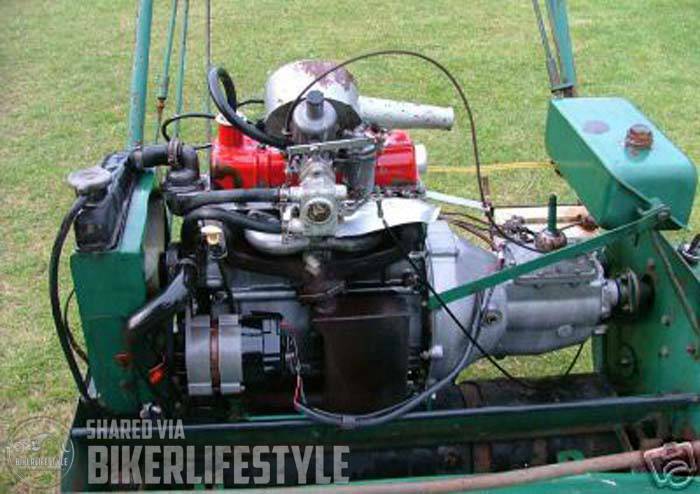 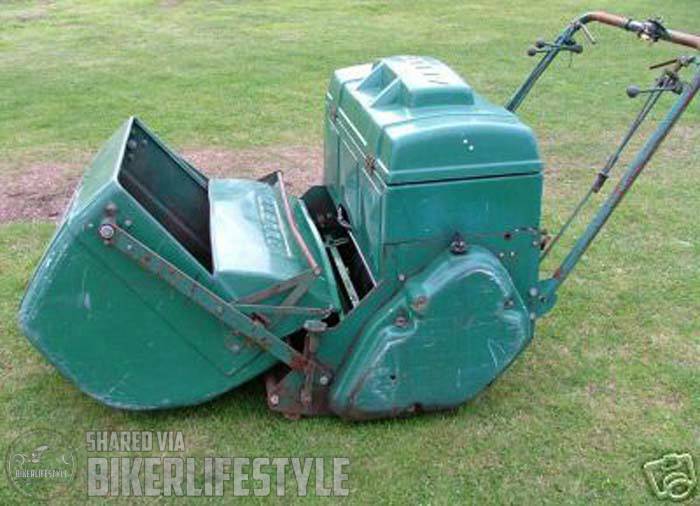 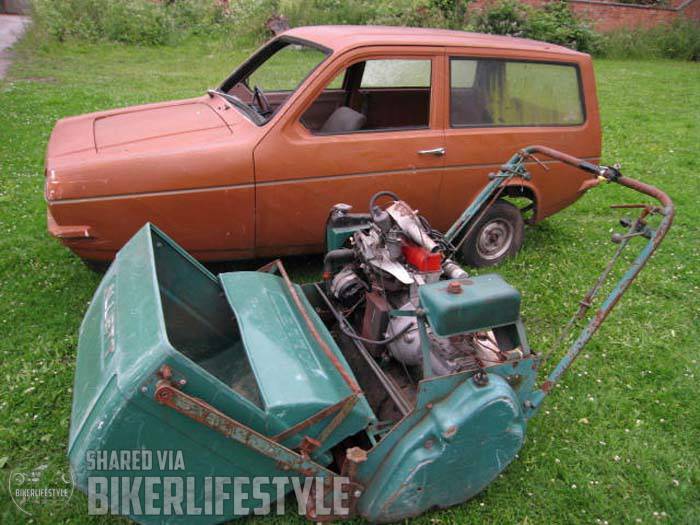 Arthur, the machine’s present owner, found it lurking in a dark corner of Ebay & bought it as a cheap means of obtaining a Reliant motor & gearbox for a trike project. 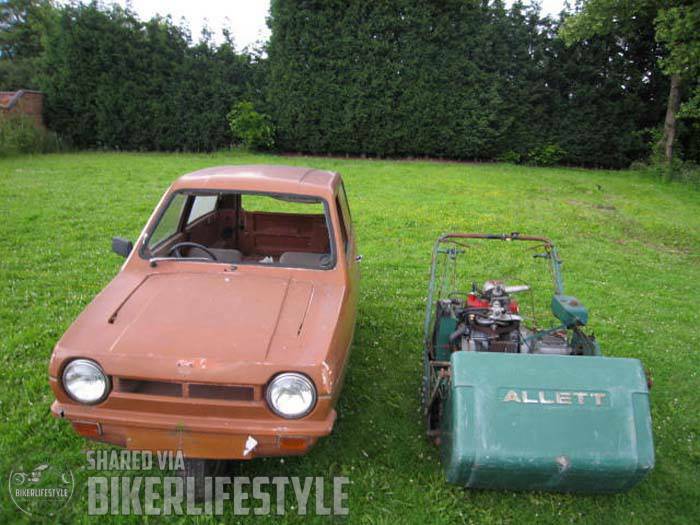 Unfortunately the trike never materialised so the mower returned to Ebay. 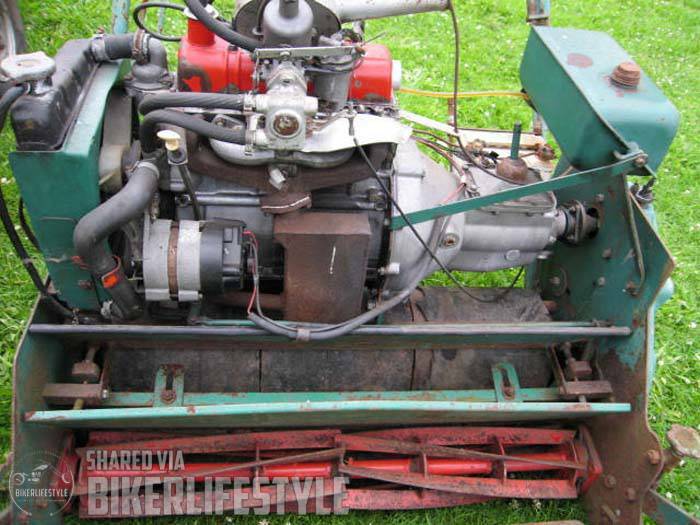 Before it headed for it’s new home though, he kindly sent in these shots of it for us.